Ooma does things a little differently to your other VoIP providers – as such, it’s developed the Ooma Telo, a plugin and use VoIP solution, in addition to their enterprise-grade solutions. The Ooma Telo is available for a one-time fee – an attractive option in itself for businesses with their eye on their bottom line. All you really need to use it is a basic (but strong enough) internet connection. Otherwise their other products – the Ooma office – provides more traditional VoIP office software. We will be discussing both products in this review of Ooma’s services, as either could be suitable for your business, depending on your needs. It’s a little tricky to give an exact overview of pricing, as Ooma has so many options available. For the Ooma Business Phone Service, prices start from just $19.95 per user, while the Ooma Office Starter Package is available from $199.99. For any business plans, you’ll need to purchase a base station, which is $99.99, and can support up to 5 lines. 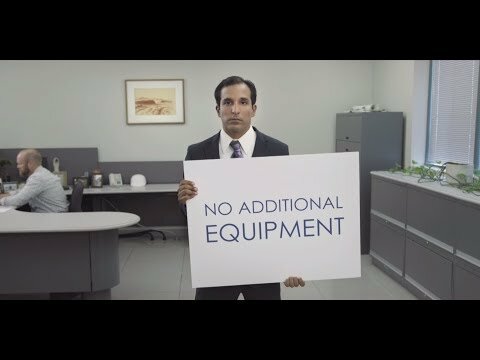 For more than 5 lines, you’ll need to buy additional base stations. The Ooma Telo might work out as the cheaper option, with a one-off device purchase of $129.99, with added features should you need, starting from $9.99 a month with the Premier account, and with international calls from 1.4 cents a minute. We recommend calling their customer support and describing your exact requirements, as there’s simply so much choice on offer at all different price points, that it’s best to obtain a customized quote. Simplicity rally is the name of the game with all of Ooma’s products – both for the Ooma Business Phone and Ooma Telo. With their Office solution, you just need to order the Base Station, and activate it on Ooma’s site. Then, you merely need to plug it in to your internet connection (they include a helpful Start Guide), and within 20 minutes you’ll be ready to make calls. It’s a similar process with the Ooma Telo – activate the device at Ooma’s site, following the setup process (area code selection and your details), and then plug it into your system. Generally, we were very impressed by the customer support. The phone was answered quickly and we were directed to the relevant person to answer our questions. The live chat was also answered quickly – even during non-working hours. The FAQ page was incredibly in-depth, and subdivided by product. There’s a handy search button, where you can input keywords to find the answer you’re after. When we tried to search some more complex queries, however, the search returned with no results. When this happened, we simply opened the live chat and spoke to a customer support representative. Ooma is a fantastic, versatile solution for all types of business. We were especially impressed with the Ooma Telo option which, although suggested as a residential solution, could certainly work well for a smaller business with ad-hoc calling needs. The Business products too were impressive, and are certainly some of the cheapest options on the market compared to other VoIP providers. What we found a bit strange, however, if that the base unit with the Business plans only allow up to 5 lines per unit – so if you want more than 5 lines, you need to buy another base unit. This can get quite costly quite quickly, especially for bigger businesses. All in all, Ooma has some interesting VoIP solutions, suitable for businesses of all sizes. With so much on offer it’s recommended to thoroughly do your research and understand your needs before purchasing – although if you find that your purchase isn’t the right solution for you, you have 30 days risk-free to receive your money back.